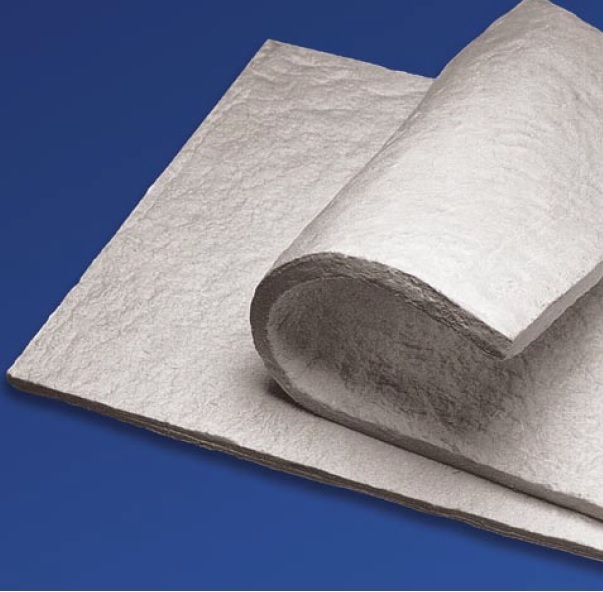 Micro-Fiber® Felt is formed from borosilicate glass fibers using a water deposition process. The result is a clean, flexible, binderless felt with excellent handling qualities and not dimensioned by thickness. Micro-Fiber Felt is produced from Type 475 glass. Micro-Fiber® Felt is intended for use in applications where highly effective thermal and acoustical insulation is required in a medium temperature range. Primary applications include thermal/acoustical insulation for aircraft and jet engines. Type 475 felt is intended for continuous exposure to hot face temperatures up to 900°F. Micro-Fiber® Is lightweight and flexible, easy to handle and apply. Made from borosilicate glass fibers, this felt features excellent chemical stability. The fibers of Type 475 felt are relatively unaffected by moisture or water and , under normal use, will not accelerate or cause corrosion. Micro-Fiber® Felt is available in sheets 36” width and 60” or 120” length. Micro-Fiber® Felt is manufactured based on areal weight and is not produced or dimensioned to an exact thickness or density. Available in 3, 4, and 6 pcf.